The Fibonacci Sequence is a sequence of numbers where each number equals the sum of the two preceding numbers. Except, of course, for the second number in the series, because it only has one number preceding it. So we cheat a little at the start, putting two ones there to get the thing going. Put 1 into a first number. Write the first on the console. Put 1 into a second number. Write the second on the console. Add the first to the second giving a third number. If the third is greater than 1000, break. Write the third on the console. Put the second into the first. Put the third into the second. Start in the middle of the screen facing south. Move 1-3/4 inches right and 1 inch down. 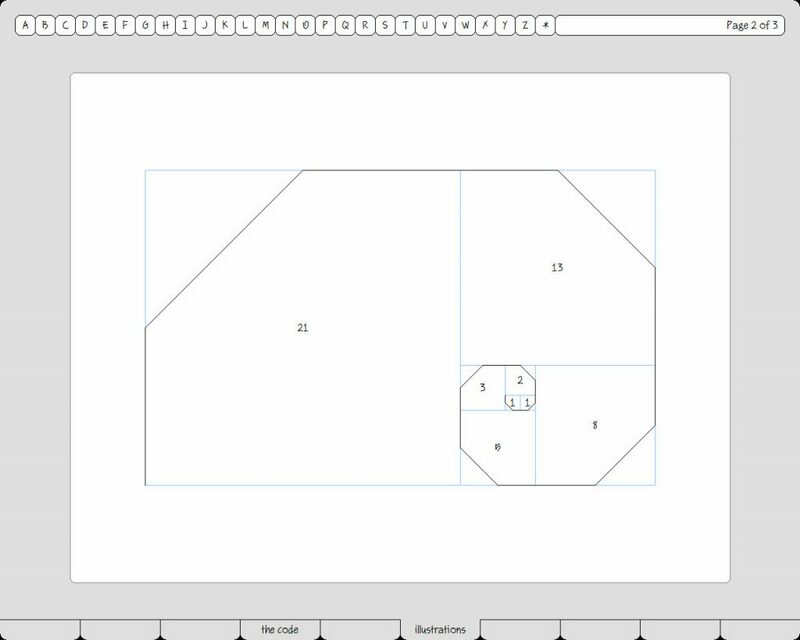 Draw some fibonacci squares starting with 1/4 inch. Put the length into a first length. 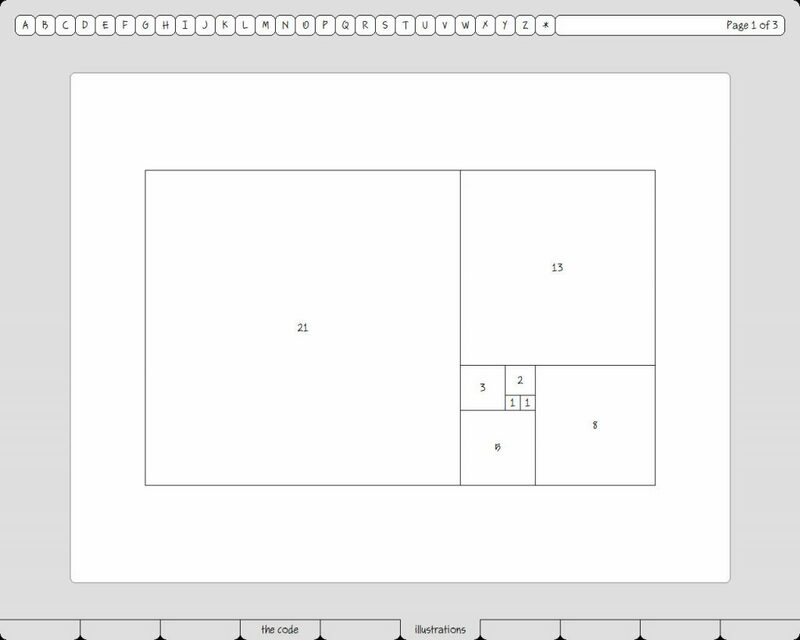 Draw a fibonacci square using the first length. Put the length into a second length. 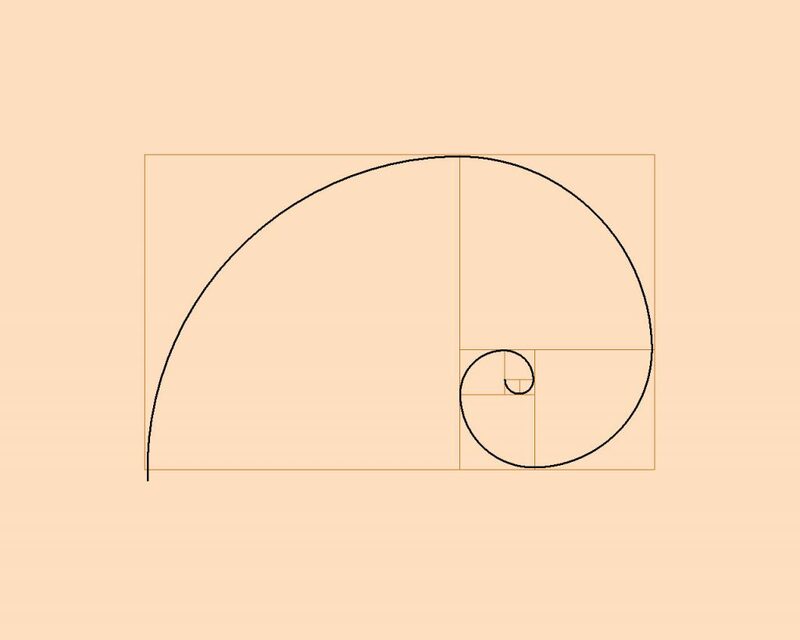 Draw the fibonacci square using the second length. Add the first length to the second length giving a third length. 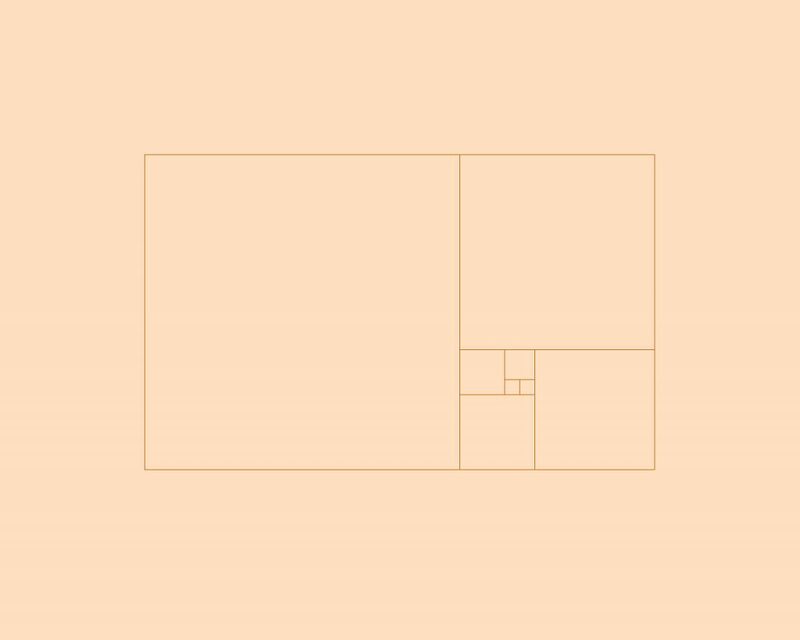 Draw the fibonacci square using the third length. If the third length is greater than 4 inches, break. Put the second length into the first length. Put the third length into the second length. Stroke the length. Turn left. Move the length. Turn left. Move the length. You can see that once we get rolling, each square mates with the two squares that came before it. Put the length into a first length. Draw a quarter circle the first length times 2 wide (backwards). Put the length into a second length. Draw the quarter circle the second length times 2 wide (backwards). Draw the quarter circle the third length times 2 wide (backwards). Put the width times 355/113 divided by 96 into a segment length. Turn left 1/96 of the way. If the count is 24, exit. Our all-integer smoothing technique is described in another article I’ve posted on this blog. 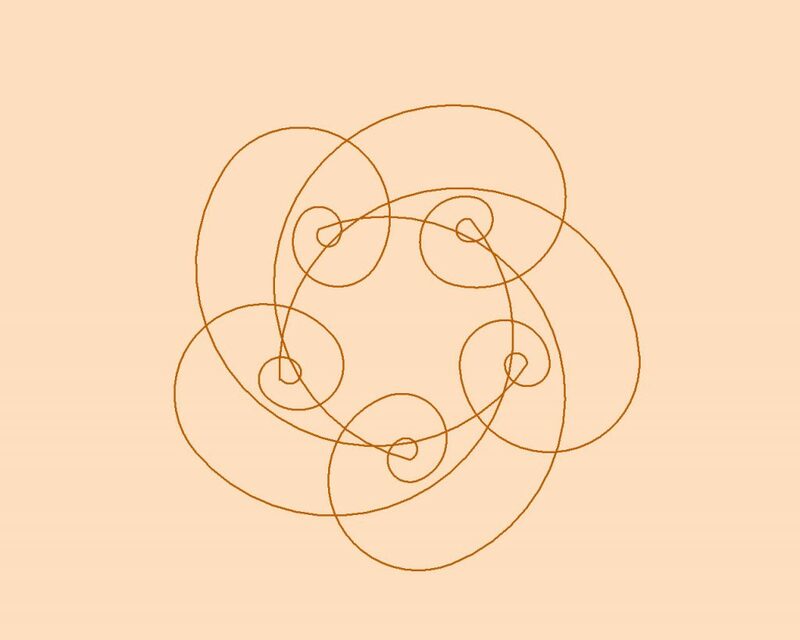 I admit the two spirals aren’t exactly the same, but then neither are all the supposed Fibonacci Spirals in the real world. It is nearly (if not entirely) impossible, for example, to fit a Fibonacci Spiral to a real-life Nautilus shell. Check it out. Look closely at all those overlaid images on Google and you’ll see that the supposed correspondence is just one more mathemagical myth; a Fibonacci Fable, we might say. Draw a half circle given the size. Divide the size by 2. Add 1 to a count. If the count is 5, break. Start in the middle of the screen facing north. Move 2 inches left and 1 inch down. Use the brown pen. Use the fat pen. 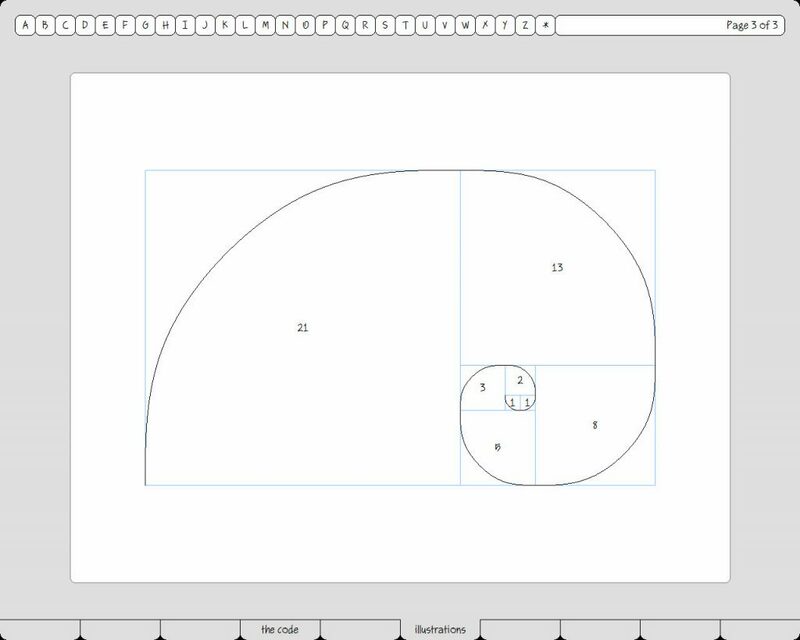 Draw a spiral starting with 6 inches. Turn 1/10 of the way around. As Israel Kamakawiwo’ole used to sing, “What a Wonderful World!” It’s cool that we have the privilege, as Johannes Kepler put it, “of thinking God’s thoughts after Him.” Credit where credit is due. I suspect that when we finally figure out exactly what makes a Nautilus shell what it is, we’ll find it’s more like an algorithm than an equation.